I saw this sketch on the Fab 'n' Funky Challenge Blog and got inspired. 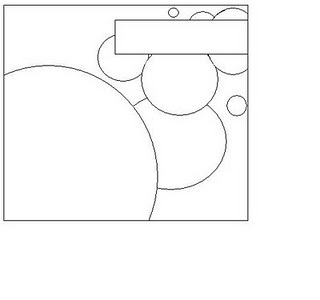 Love the circles on this sketch. So I created a simple card for a guy. 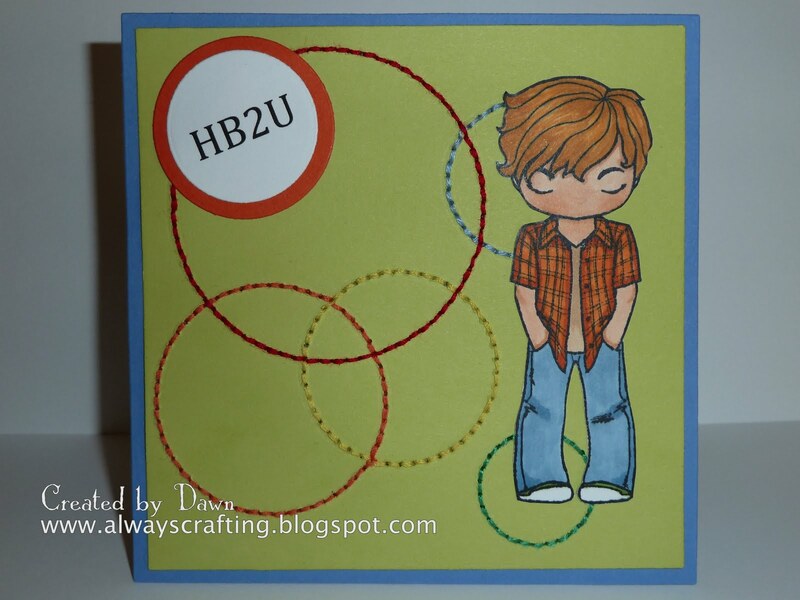 I sewed circles on the card and used the Greeting Farm stamp "my guy Ian". I really like the look of simple cards. 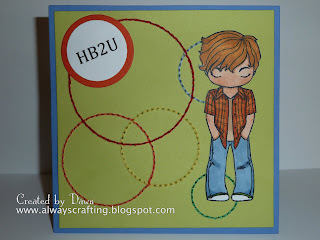 What an awesome guy card...the image is adorable and I looove all the circles and stitching!!! Thanks for playing in the Creative Belli challenge!!! this is a fabulous masculine card...love this image and your coloring is fantastic!! I really like the Clean & Simple style too! Brilliant card and what a clever idea for the background. Many thanks for playing along with Fab'n'Funky Challenges this week. A great card for a guy. 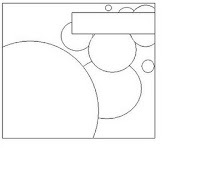 Love those stiched circles... what a great idea! Thanks for joining in the colour challenge at AFA? this week. Sorry for the typo on my previous comment... I meant stiTched! (Forgot the T) Am on holidays and using my husband's laptop and it has a really bouncy keyboard! I hate it... lol!